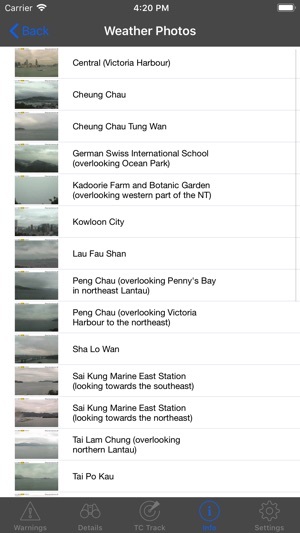 Displays the current Hong Kong Observatory weather warnings - Find out quickly if there is a T8 and you can go home! 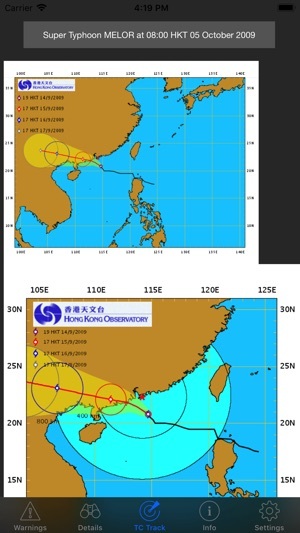 Also, if there is a typhoon nearby, it displays the Tropical Cyclone Track and satellite images. Also displays the current weather, temperature, relative humidity and UV info. 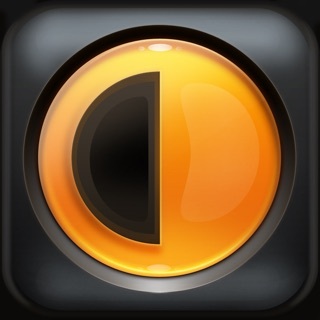 Now a universal iPhone/iPad app. 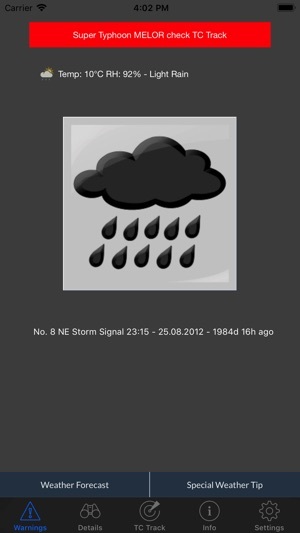 iPad app additionally shows Hong Kong Observatory radar and satellite images. 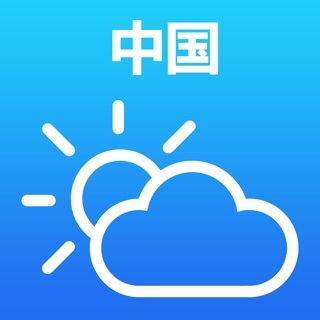 Sends PUSH NOTIFICATIONS of newly issued Hong Kong Observatory weather warnings. 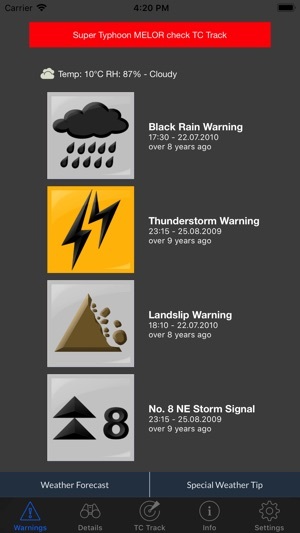 SHARE: if there is a warning, you can tap on the warning icon and tweet/SMS/email. 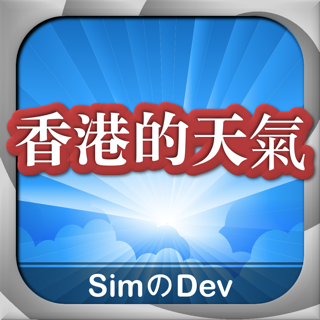 Also in CHINESE - please check the settings. I have HKWarnings installed for over a year and it always tells me the weather information I need to know. Not only during typhoon but also during rainy season. I would have forgotten to bring my umbrella without all these warnings. Easy and intuitive user interface! Would be good to have push notification and traffic condition shown in the next release. It would be better if option is provided for the user to have warning SOUND together with EVERY pop-up message.... Not only the typhoon "go home" warning.